Id Software’s Tim Willits revealed during QakeCon that RAGE 2 will feature a social component but it won’t be a “typical” multiplayer mode. Speaking to Eurogamer, he said that the studio isn’t in a position to disclose details at the moment but understands how important it is to connect with players. Argh oh my god loot boxes! We won’t have loot boxes but yes we are trying to figure out how it will work. It’s a balance: you don’t want people to feel like you’re trying to chase them for money but you want to give people the opportunity to have the experience they want and to extend that tail, so we’re still working some of those plans out. 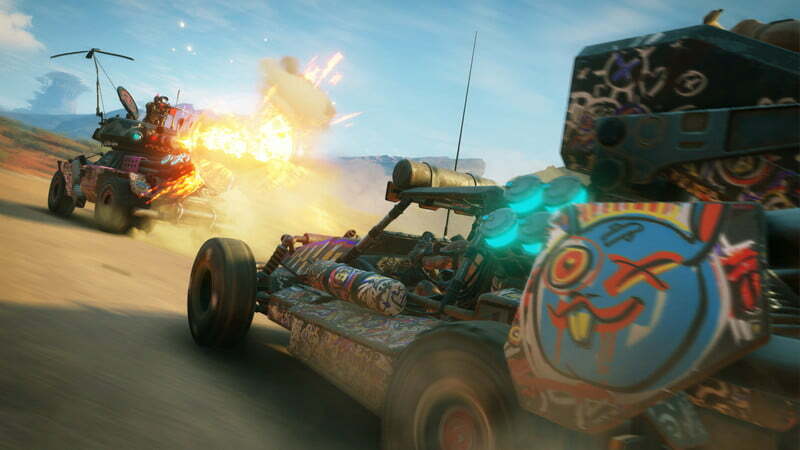 RAGE 2 is expected to release in Spring 2019 for PlayStation 4, Xbox One, and PC.